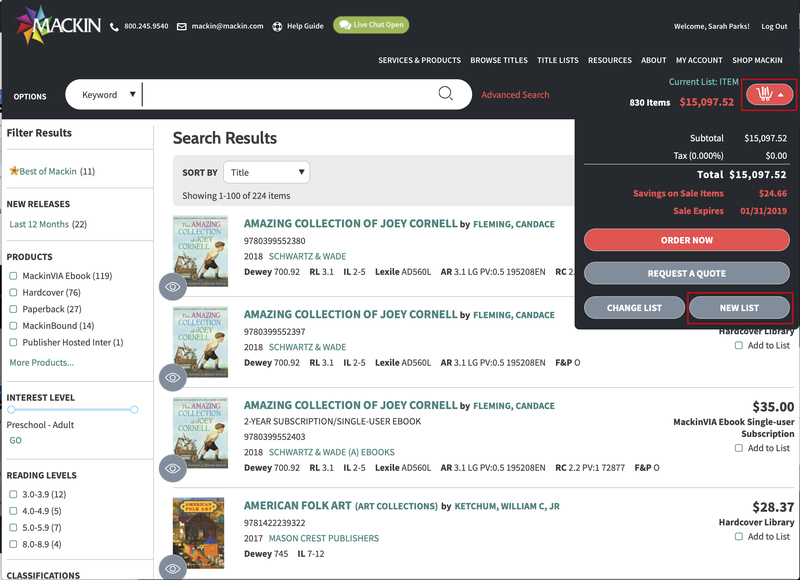 If you want the titles saved to a new list, click on your Shopping Cart and select New List from the menu and fill out the information in the pop-up window. After selecting New List or Create List, a pop-up form will appear prompting you to enter the list information. When you are finished filling out the form, click the Create button. 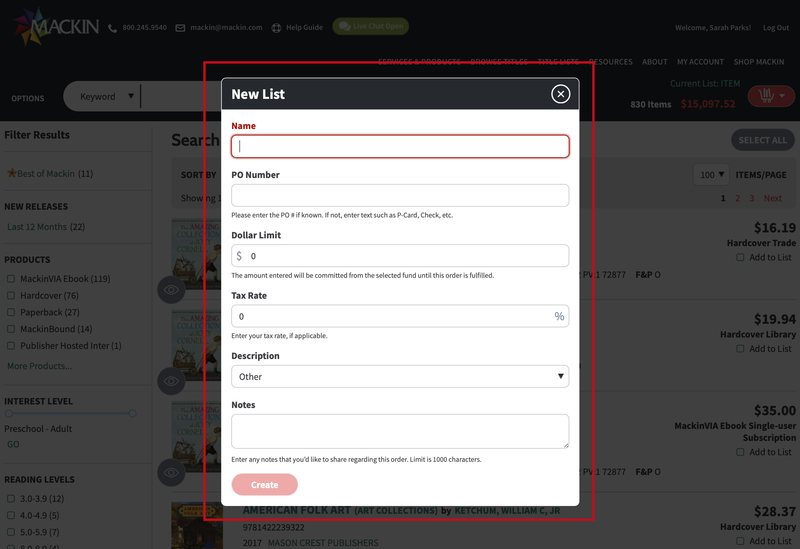 Once your list is created, you can add titles to it. See Add or Delete Titles for detailed instructions. Once you choose the list you want to save the titles to, click on Select All. 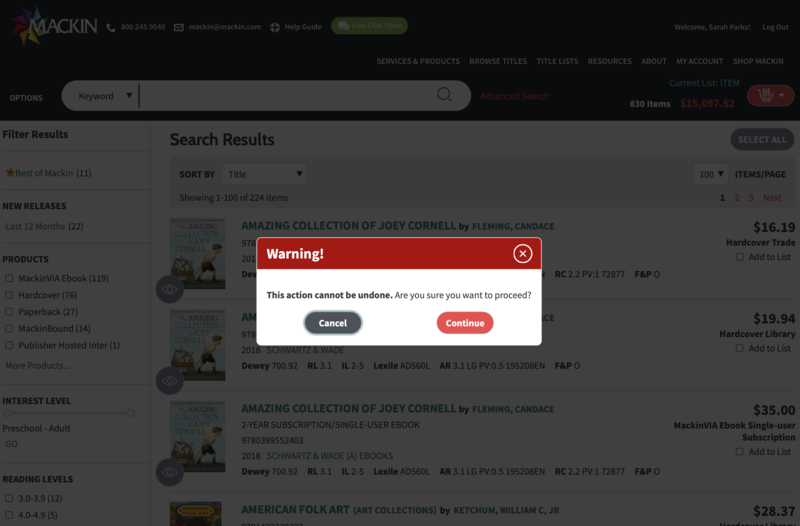 You will be asked to confirm your selection before the titles are saved to your list.